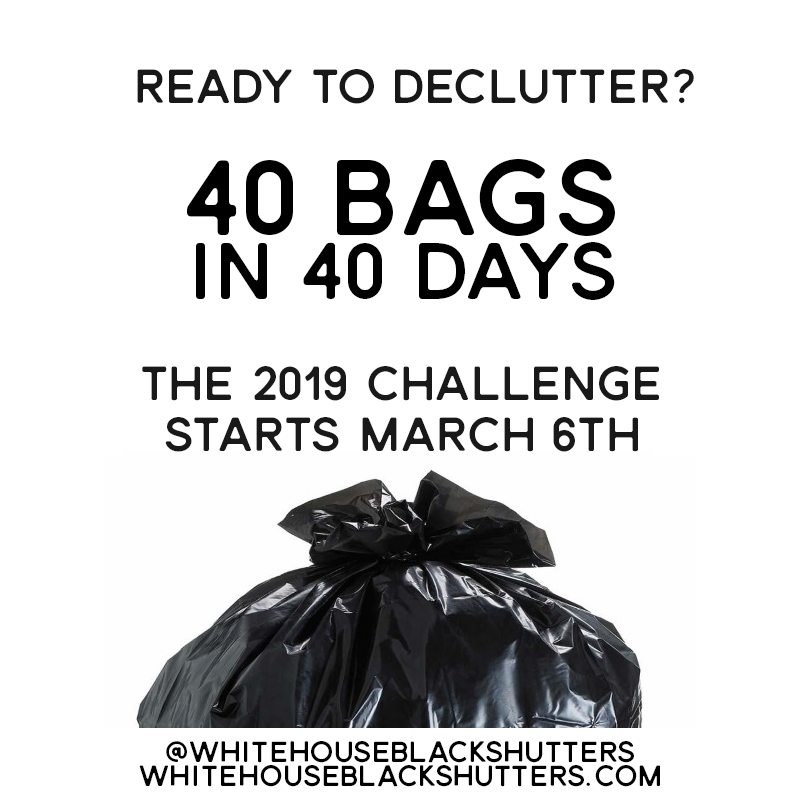 When I did the 40 Bags in 40 Days Challenge in the past it was a great way for me to declutter and get rid of un-needed junk. I love how this challenge goes along with Lent. So if you are unsure what to give up, then give up junk and declutter your house! If you could see my house you would say what in the world... I unfortunately inherited my Great Grandmas love for keeping everything and my kids think they need to keep everything they have ever had or made as well. It is simply a 40 day period in the spring that coincides with the 40 days of Lent, where you focus on cleaning one area per day. In this one area you challenge yourself to declutter, simplify and get rid of things you don't need. The goal is one bag a day but you can have more or less depending on the room. 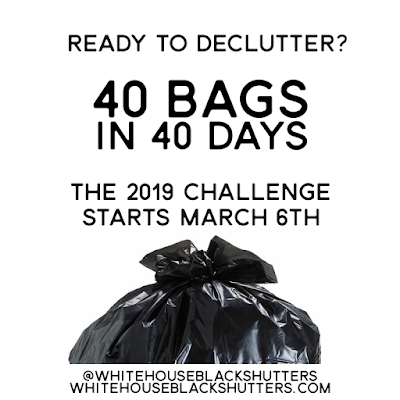 The 2019 challenge officially goes from Wednesday March 6th to Thursday April 18th. You can start this challenge whenever you find this post, we will be here to cheer you on! 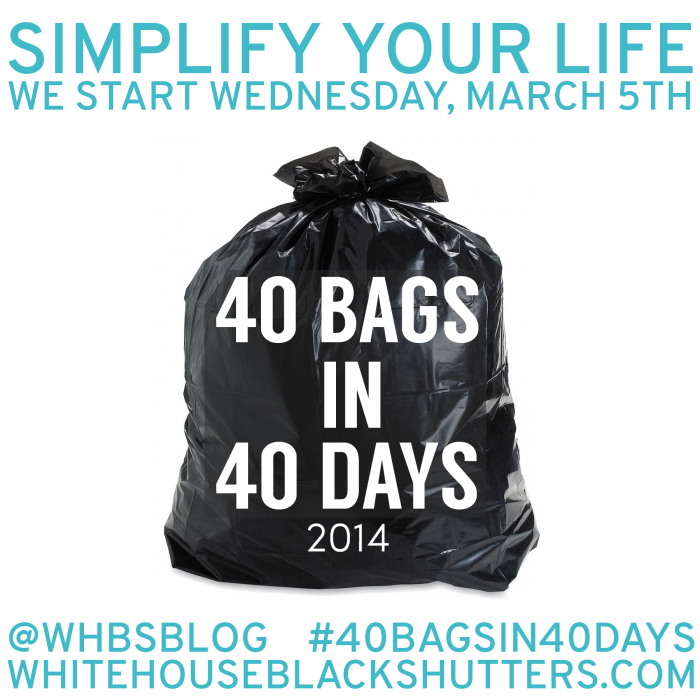 For more information on the 40 Bags in 40 Days Challenge visit White House Black Shutters.